Dynamic Staffing Services (DSS) HR Mumbai is looking for Technical Office Engineer for their prestigious Client in Qatar. 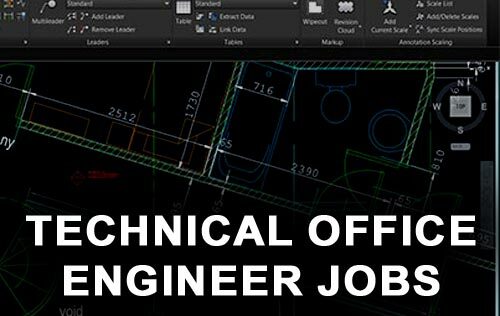 Should be proficient in BIM(Building Information Modeling/Architectural Design and documentation software packages ; Autodesk® Revit® or Autodesk® Navisworks®). Must have knowledge of document management systems (Newforma® is preferable). Candidates with no evident site experience will not be considered. Successful applicants will be able to demonstrate an excellent ability in producing detailed Programme of Work on Primavera and load resources on it and be in a position to suggest time and resources saving through their programme analysis. Ability to work on Autodesk® AutoCAD®(Computer Aided Design & Drafting Software) is also important. Qualifications: Candidates should be Graduates in Civil Engineering. Both Bachelor’s and Master’s degree from a reputable university is considered. Experience Required: Experience in large building and civil engineering projects, preferably in the Middle East. Their work experience should include minimum of 3 (Three) Years as Site Engineer and 2 (Two) or more as Planning Engineer. Candidates with no evident site experience will not be considered. Age Limit: 28 to 40 Years. This opportunity is only open for Indian nationals, due to client requirement. Professionals interested in this position kindly forward your updated profile to the below quoted Email Id for the further discussion.